Cedar Creek Resort is now open to the public for a variety of ministry events. Nestled away and secluded from all the hustle and busyness of life, but still only 10 miles from Columbia, it is one of mid-Missouri’s best kept secrets. 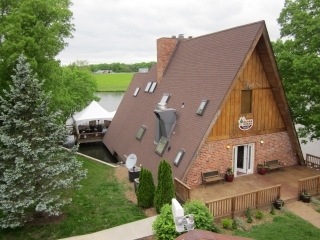 Less than a mile off I-70, we have had rave reviews by the families that have experienced Cedar Creek Resort. 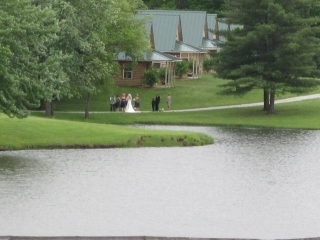 Cedar Creek Lodge itself sits on a beautiful 25-acre lake and features a 3,000 sq. ft. deck. The lodge has a master bedroom suite that overlooks the lake as well as giving you lots of privacy. For additional accommodations there are six-2 bedroom cabins as well as a lakeside 4-bedroom A-frame. Look for our slide show of a “Little Peace of Heaven” . Call 573-239-8340 for your tour today. Many dates are still available. Find 167 acres with a variety of settings to host your ministry or event. We offer lodging in modern cabins and A-frame that house up to 60 people comfortably! Large or small, we can accommodate your individual style. Whether you would like us to arrange it all or you want to have outside vendors handle the details, we are flexible. There is a even a certified commercial kitchen available if you want to bring your own chef or our preferred caterer! There is a minimum of a two night stay. Discounts, if applicable, are taken off of posted rack rates and may not be combined with special packages or offers. Sales tax is not included in the rates. All of our accommodations are smoke-free. Check-in is 2 pm and check-out is at 10am.